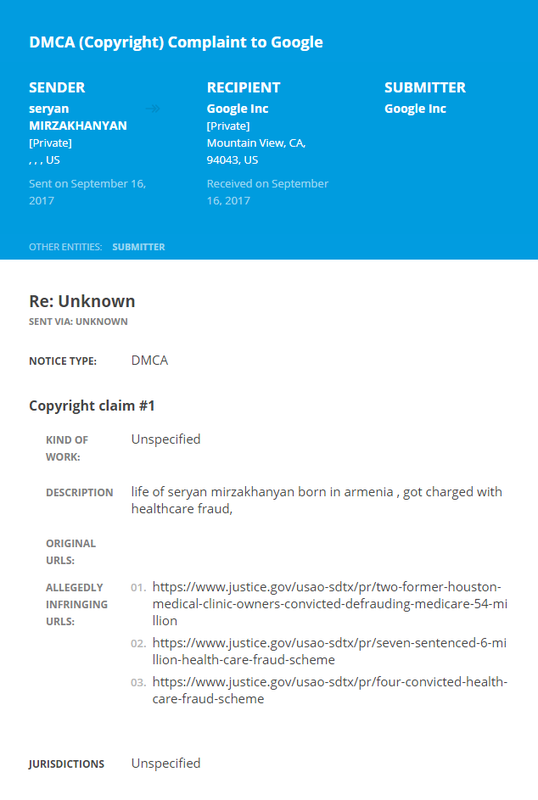 Seryan Mirzakhanyan, a 32-year-old Armenian-born scammer from California, who in 2016 was convicted of defrauding Medicare of $5.4 million, has filed at least three DMCA notices with Google requesting that the search engine delist records of the criminal scheme from the Department of Justice (DOJ) website, plus a number of news and legal document hosting sites. In January, Mirzakhanyan was handed a 28-month prison sentence and ordered to pay restitution of $1.48 million for his part in the criminal scheme. 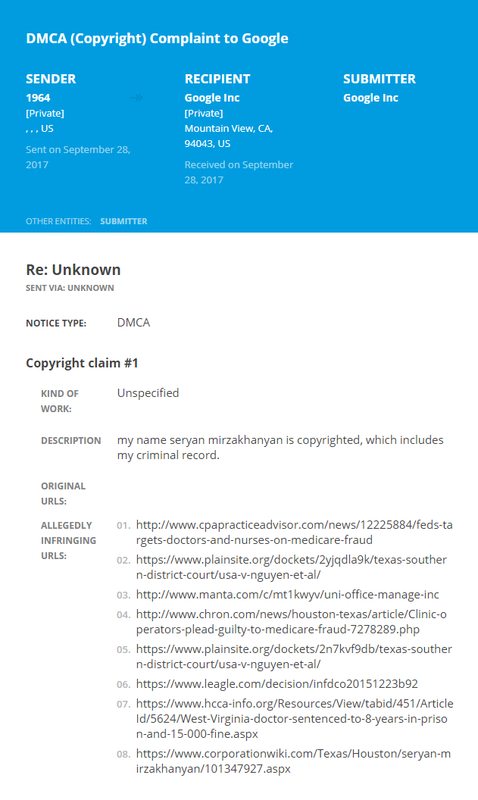 Update, 23/10/2017: It appears that two other people who were involved in the scam (or one person pretending to be multiple people) have filed identical requests. Click here, here, and here to read.